The Apoyo Volcano exploded in what may have been the most powerful of all the volcanic blasts of the quaternary epoch in Central America, around 23,000 years ago. No humans were around to see it, however, as the first direct or indirect evidence of humans in the area seems to be less than 15,000 years old. 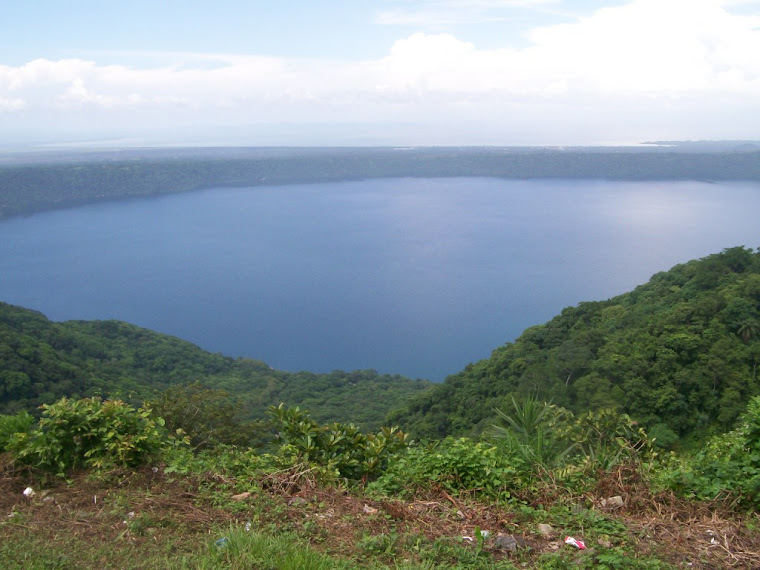 We can imagine the awe of the first people to look down into the lake seated at the bottom of the crater. Although the name "Apoyo" matches a Spanish-language word, it actually is a precolombian toponym referring to clear water. 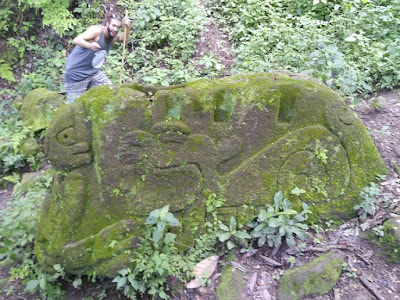 We know nothing of the message or messengers who inscribed on the rocks in Laguna de Apoyo. Photo Pablo Somarriba. 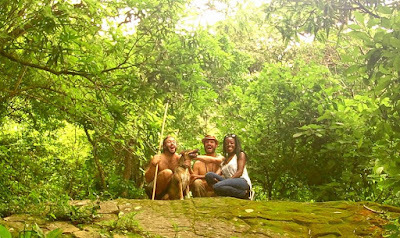 The precolombian people of the region around Apoyo, particularly on the sides of the Pueblos Blancos to the west, and Masaya to the north, did not die out or migrate away. 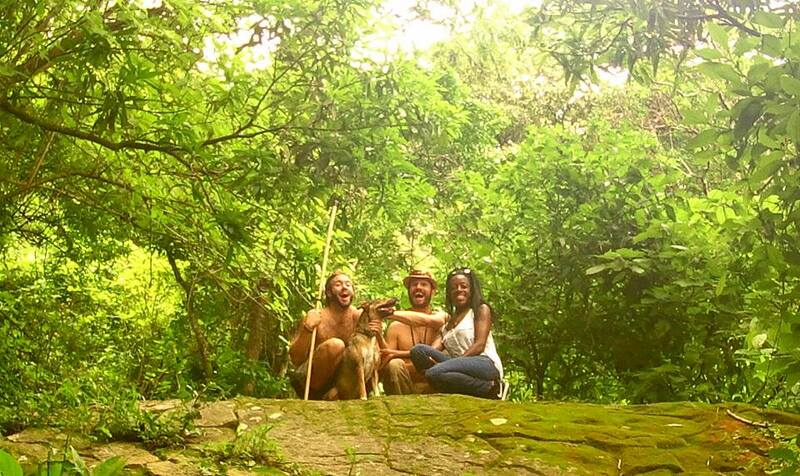 Precolombian roots are seen in the faces and the traditions of the area. Furthermore, in Masaya and a few other areas, some people maintain official indigenous representation, according to registrations with the government from more than a century ago. 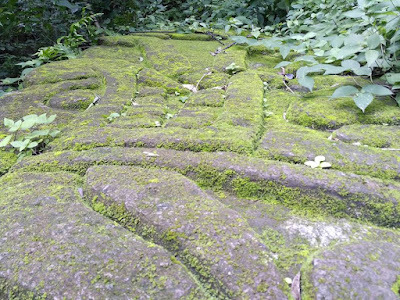 The precolombian culture was largely erradicated by the Spanish conquest, but these relics give silent testimony to a society that still lives. Indigenous people of the area left etchinngs in several rocks in Laguna de Apoyo Nature Reserve. Photo Pablo Somarriba. 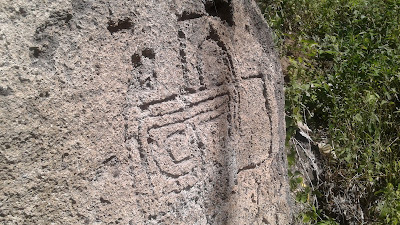 Students at Apoyo Spanish School can visit the petroglyphs found in different locations near us. The messages have not been deciphered, so each person can imagine and hypothesize about the meanings behind each etching. Some are small, others are a few meters wide. The centuries have passed since these designs and messages were left behind, but thankfully, we are still able to enjoy them. Possibly an Insect? Turtle? Photo Pablo Somarriba. 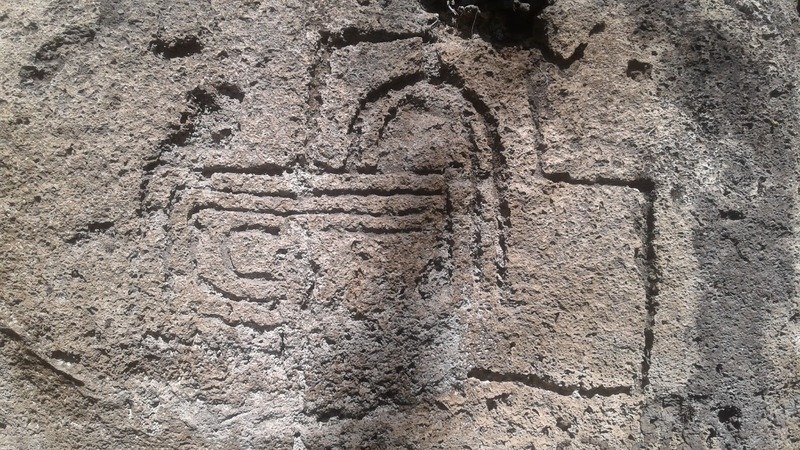 The hundreds of years of separation from their prior society has left the native Nicaraguans of this area disconnected from the reasons, language, and messages behind these treasures. Someday, hopefully, there could be a rescue of these petroglyphs for the benefit of the people who continue to live in the area. It is no surprise that many petroglyphs are found here, because of the abundance of rock and the marvelous place that is the interior of the Apoyo crater. 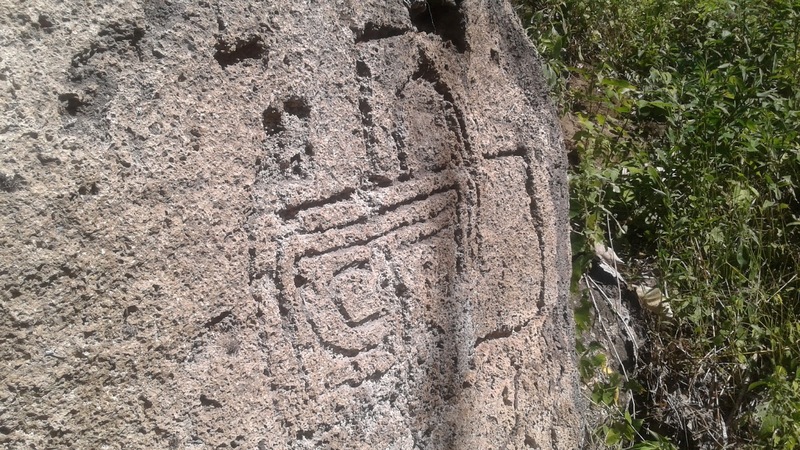 There are a few nice walks on public-access trails in the crater that pass by petroglyphs. 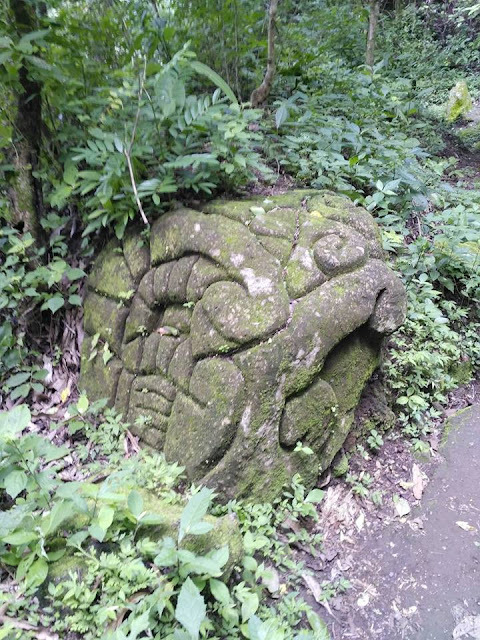 These walks can combine great views of landscapes, birds, monkeys, the incredible diversity of plants, and these relics from another era. Some of the trails lead to communities along the edge of the crater, so a walk could terminate with a nice beverage while looking across the lake. This petroglyph has been carved on the top of a flat bedrock. Photo Andras Dorgai. 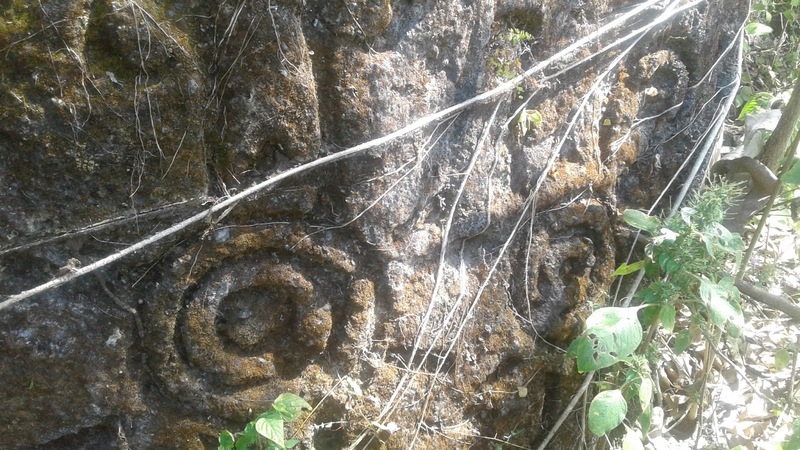 If you would like to make a hike to see petroglyphs, please contact us. 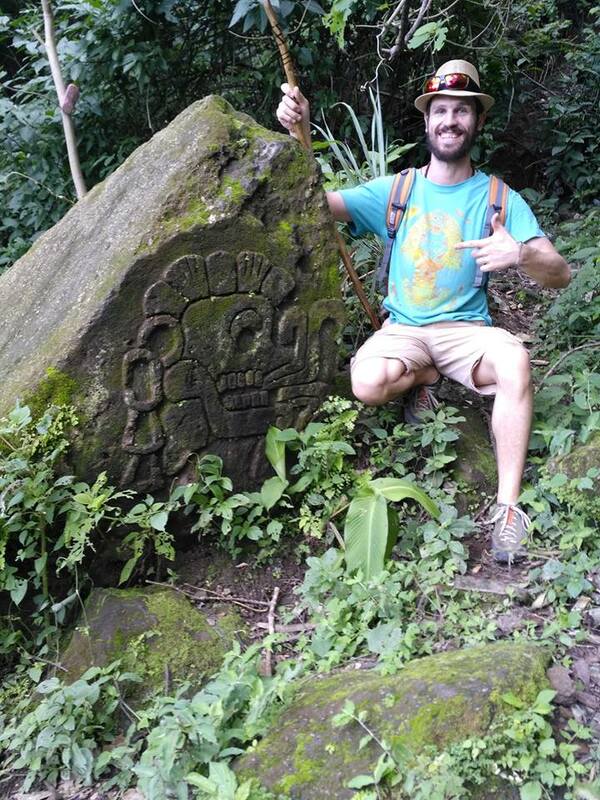 We would love to take you for a hike that can combine birds, monkeys, useful plants, petroglyphs, and majestic views. 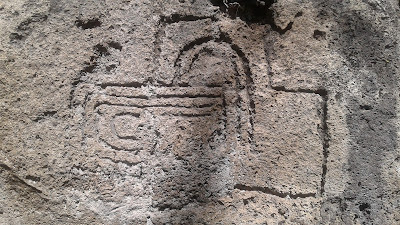 A petroglyph in Laguna de Apoyo Nature Reserve. Photo Andras Dorgai. Chilling imagery left behind by the precolombian ancestors in Laguna de Apoyo Nature Reserve. Photo Andras Dorgai. A spooky petroglyph with ann oddity behind. Photo Andras Dorgai.